The Department of Student Activities at the University Participates in "Beirut International Marathon". 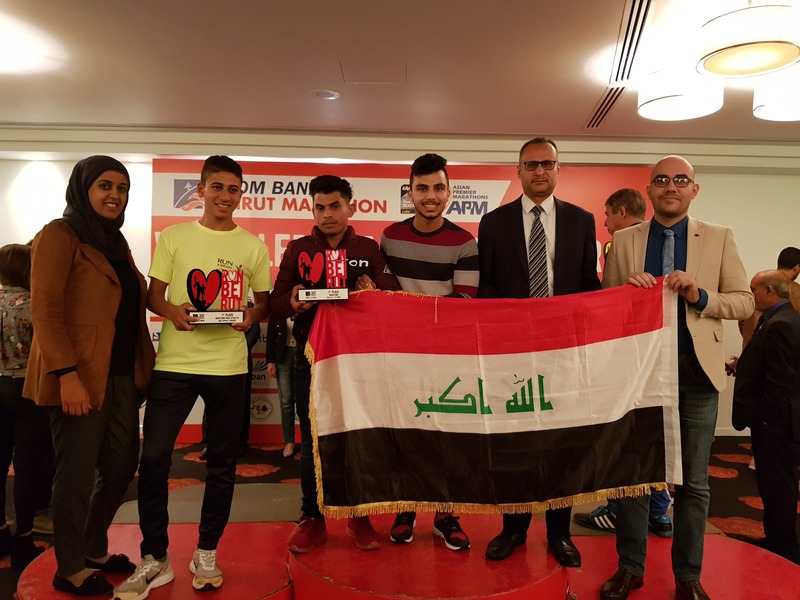 The Department of Student Activities at the University Participates in "Beirut International Marathon" The Department of Student Activities at the University of Information Technology and Communications participated in Beirut International Marathon in Beirut, Lebanon. Omar Abdul Razzaq, a student in the Faculty of Business Informatics, received rank 26 of the 47,000 contestants from different countries. The first student was Omar Jamil, a student at Diyala University. This is the second participation for the University of Information Technology and Communications in this marathon, where the university won the 12th position in the previous year, in addition to several certificates of appreciation for the active participation in the festival.